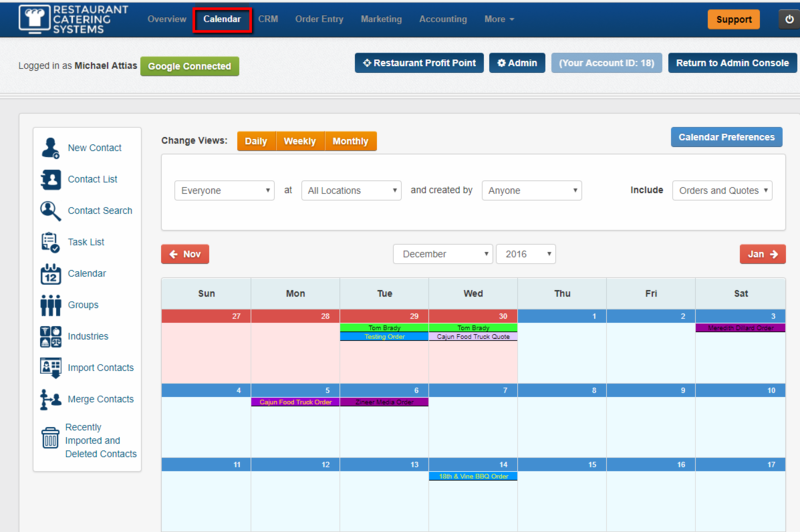 This article will go over how to view your Calendar in: Daily - Weekly - Monthly. Please note the default is set to Monthly. To learn how to change the default please see the calendar preferences article. 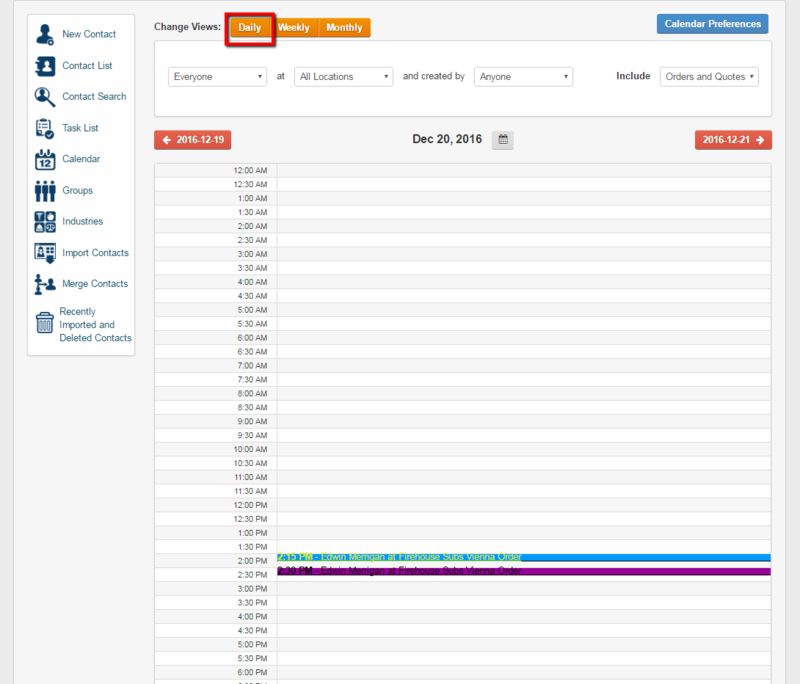 2 - You will see Orange tabs to change the view of the Calendar. 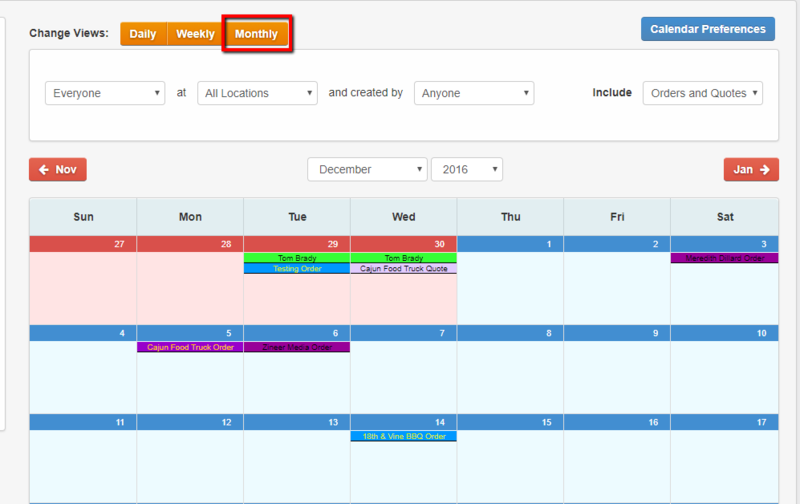 Note under the Monthly view the previous or upcoming months days background will appear in RED. The current month's background will appear in BLUE. 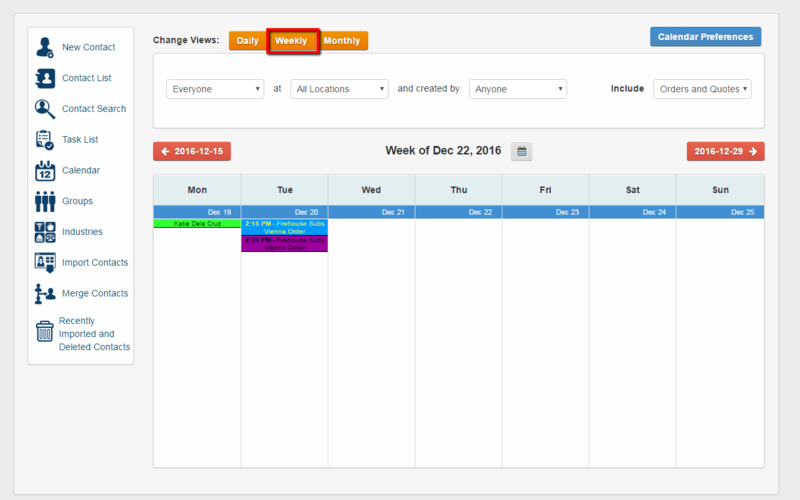 You have now learned how to change the view of your calendar and seen an example of the Daily - Weekly - Monthly views.